The little blue and white packet on the right is the fresh burrata (a super creamy mozzarella), which I ate promptly with slices of tomato, basil and olive oil. Tonight: a quiche with summer squash and thyme. Tomorrow: a romaine salad. Yum! 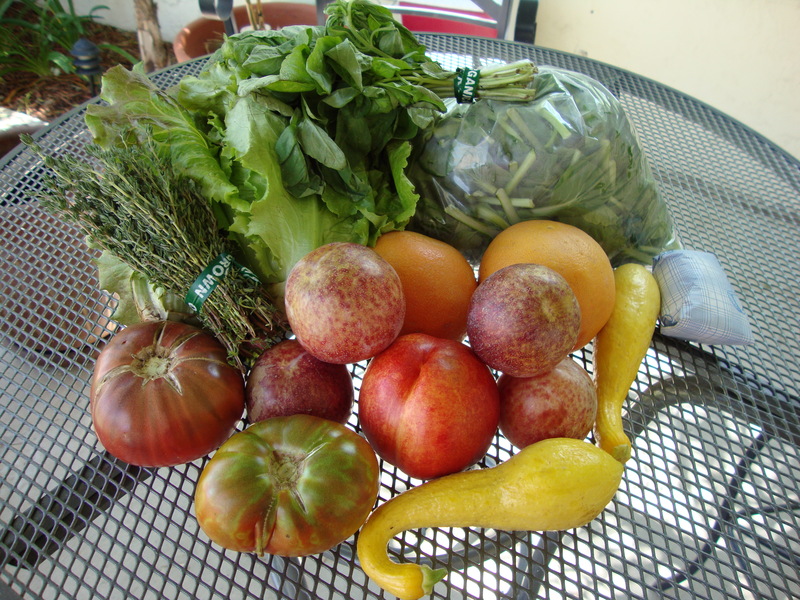 This entry was posted in Uncategorized and tagged farmers market by Tricia. Bookmark the permalink.